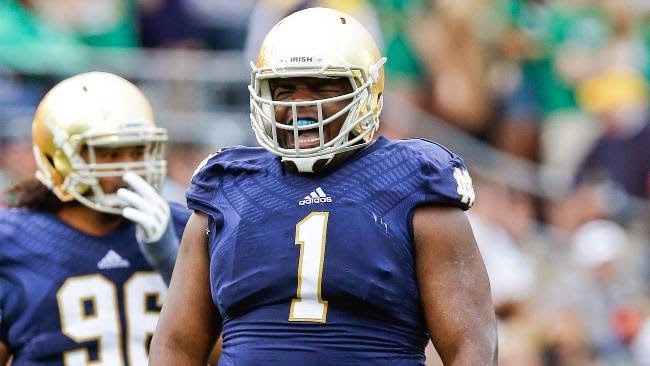 The first round of the 2014 NFL Draft is in the books and you can read my grades for every selection here. The second and third rounds happen tonight on what is Day 2 of the draft and, of course, there are still some pretty good football players on the board. Who are the best players available for tonight's draft action? While I had Teddy Bridgewater higher on my board than Carr, I am still relatively surprised that Carr did not go before Bridgewater. However, he is likely to go quickly to one of the teams that did not take a quarterback in the first round. Carr has the arm to make all the throws, he is accurate, makes good decisions and has plenty of experience. However, he can get flustered against the pass rush and was inconsistent in the Royal Purple Las Vegas Bowl against USC. Speaking of USC, I am also somewhat surprised that Lee is still on the board but he will go quickly tonight. Lee did battle some injuries during his junior season but he is an explosive wideout that is tremendous with the ball in his hands. He should be able to play right away, he runs good routes, consistently gets separation, and can contribute in the return game. Ealy is a desirable defensive end to have because I think he could play in both a 4-3 and in a 3-4 as an outside linebacker. He is an excellent athlete with a nice combination of size and speed. He is a balanced pass rusher with an all-around game coming off the edge and he also is very good against the run as well. There is also some nice upside here. Nix is the classic nose tackle than will set up shop and adsorb multiple offensive linemen while clogging rushing lanes. He is a truly physical threat at the point of attack and is tremendous against the run. He will never be a big pass rusher for obvious reasons but he also can press the pocket right up the middle and make his presence known in the backfield, allowing edge rushers to get upfield easier. Hageman was tremendous these past couple of years for the Golden Gophers, helping to turn that program around. He had ideal size and power as well as explosiveness off the line of scrimmage to where he can probably play either tackle or end in the NFL. He needs to show more consistency at times but he excels against the run and has some pass rush ability as well due to his moves and his athleticism. Tuitt was one of my favorite players in the draft but his stock fell a little after he followed up his dominant 2012 with a solid but not as great 2013. He can play end in both the 3-4 and in the 4-3 and he is excellent at stuffing the run. He also should be a player in the pass rush as well thanks to his combination of power and quickness and can beat some tackles off the edge. Amaro is a type of tight end that is becoming all the range in the NFL because he will be a matchup nightmare thanks to his tremendous receiving skills. However, he will not be a contributor in the blocking game and he has some off the field concerns. Su'a-Filo was in my opinion the best guard in the draft. He can play some tackle as he did some in 2013 for the Bruins, but he likely will be best as a guard at the next level. He is an excellent pass blocker against both power and speed rushers, and he has very good athleticism for an interior lineman. Su'a-Filo could play with a little more power in the run game but he is very good at pulling around the end. Seferian-Jenkins' draft stock has dipped due to a foot injury that limited him in that he was not able to perform at the Combine, as well as due to off the field issues. However, this kid is a talented tight end prospect for whoever drafts him presumably tonight. He is a big tight end but also very athletic which leaves him as difficult for defenses to cover. What is key for him is that he is a solid blocker as well. Jernigan started for three years in Tallahassee but he really broke out on the national championship team in 2013. Jernigan needs to work on his pass rush abilities but that should not be an issue thanks to his quickness. Where he really excels is against the run as he is tough to move at the point of attack. This is a lineman that has really risen his profile and his stock since a strong Senior Bowl performance and I would not have been surprised if he went at the bottom of the first round. Bitonio is a technician and he is a good athlete that is pretty good in pass protection. He can play tackle at the next level but he may be better suited (albeit a little undersized) to play guard. Van Noy is small and will likely be limited to play as an outside linebacker in either the 3-4 or the 4-3. He is a tremendous pass rusher off the edge thanks to his athleticism. He is relentless and has tremendous instincts as well and in Provo, he lived in opposing backfields. Hey, a running back! This was the second year in a row that no running backs went in the first round but Hyde should be the first back that goes tonight. Hyde is the classic, one-cut power back who can run over defensive players, but he also is surprisingly quick. He does have some off the field concerns, however. Moses has excellent size and strength, but he is not a great athlete. That will probably limit him from playing left tackle in the pros. He is an excellent run blocker and with his physicality and arm length, he should be a mauler in the run game. However, there are concerns over whether he can stay in shape in order to be effective. Crichton is a little undersized and he is not a great athlete either but he gives relentless effort every down. He is a very good pass rusher and is described by some as having an excellent bull rush. He is instinctive and gets off the snap quickly as well. Another guy that has seen his stock perhaps slip a little due to some off the field issues is this LSU back. But beyond that, Hill is a powerful runner with nice size and he excels at breaking through tackles and getting through contact. He also can contribute in the passing game and considering the deep backfield for the Tigers, he has relatively little mileage. The numbers that Matthews put up over the past two seasons with the Commodores are pretty staggering and he enters the NFL as a pretty polished wideout. He has tremendous hands, can make the tough catches, runs fine routes and is pretty good at running after the catch. However, even after a fast 40 at the Combine, he is not much of a deep threat at the next level in all likelihood. When I look at Kouandijo, I think he is a significantly better fit on the right side rather than the left. He utilizes his length and his bulk to mash and maul in the running game but while he is athletic and has good hands, he is a mess against speed rushers on the edge. Robinson may not be much of a deep vertical threat in the NFL as he is not particularly fast, but he is a tremendous leaper and he knows how to make the tough catches in traffic. He runs nice routes and he is very good at making something happen after the catch. In following the Seattle model, teams are starting to crave big cornerbacks and that should be good news for Jean-Baptiste, who is over 6-2. Jean-Baptiste should excel in press coverage but he has shown the movement skills to be a quality contributor in other man schemes. He also could play safety. I started this piece talking about Derek Carr, so why not mention his top target at Fresno? Adams has really nice hands, runs really good routes, and has nice size that he takes advantage of. He may not be particularly fast but he is quick. Murphy led college football in sacks a year ago on the Farm with 15 sacks. He is undersized for a 4-3 end and he is not particularly fast, but he has a bevy of nice moves, utilizes his hands very well, excels at shedding blockers and he has a great motor. Roberson has killed his stock with a mess of a pre-draft process, but you cannot ignore the work he did on the field during his days in Gainesville. He is very good in man coverage, has nice size and is very good on playing the ball in the air. However, he offers little in terms of run support. Landry is a wideout that is not particularly big nor is he particularly fast. However, he does have great hands, can make tough catches over the middle, and is good after the catch. He also runs nice routes and is generally pretty polished. He would be a nice possession receiver for many a club.